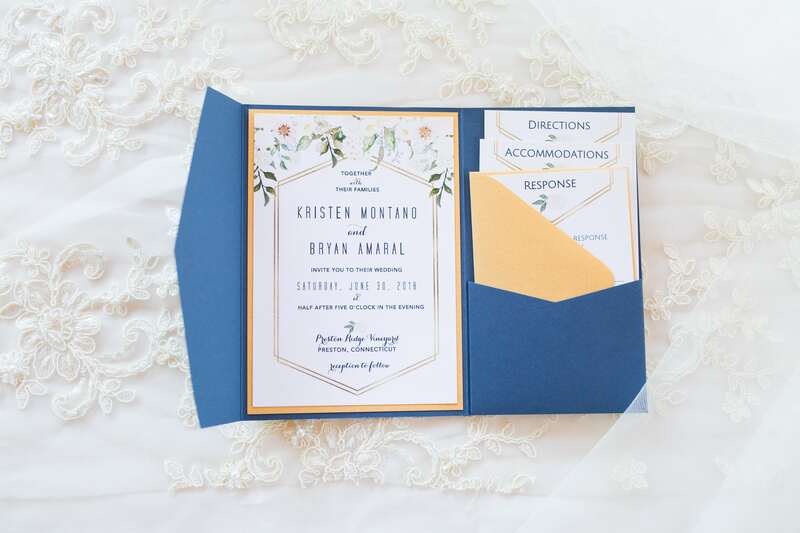 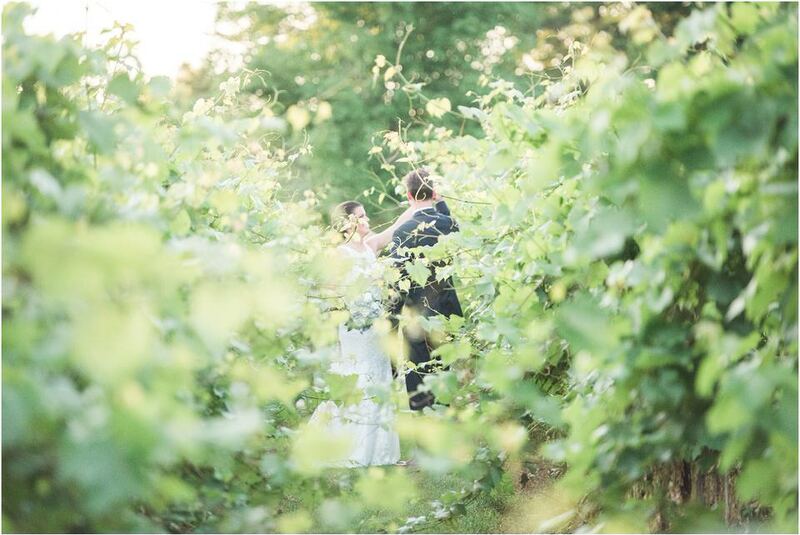 Kristen and Bryan were married on June 30th, with a ceremony and reception at Preston Ridge Vineyard. 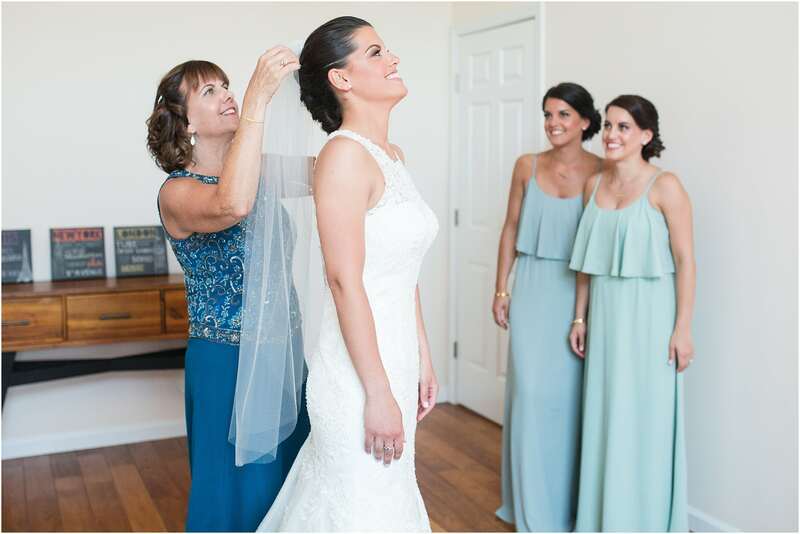 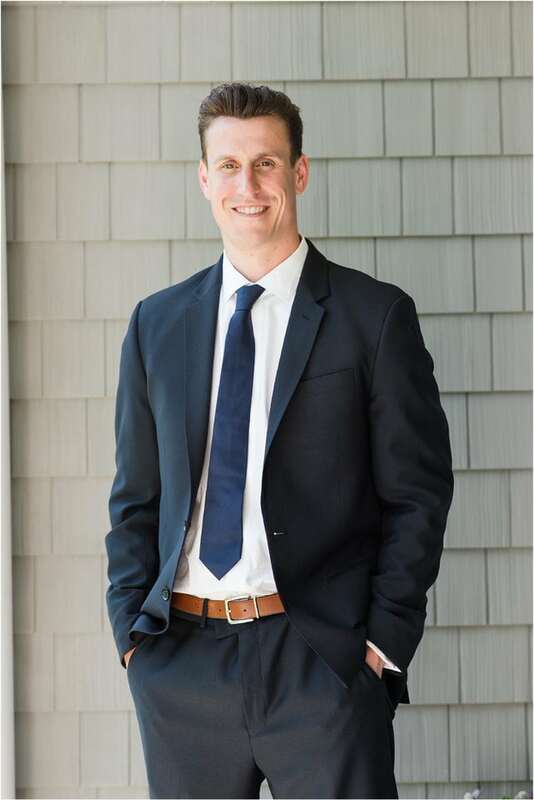 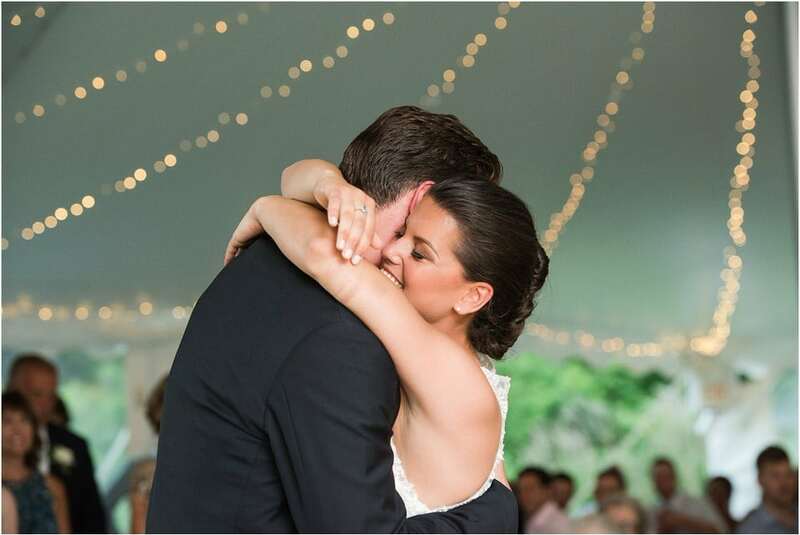 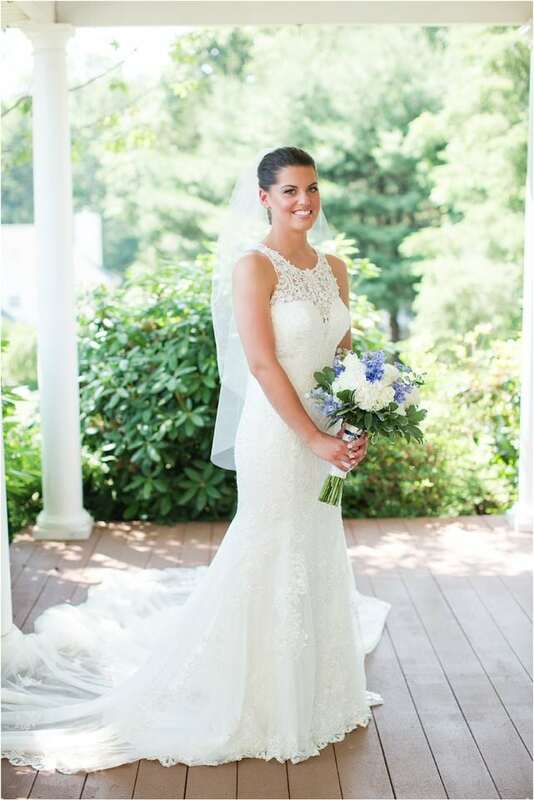 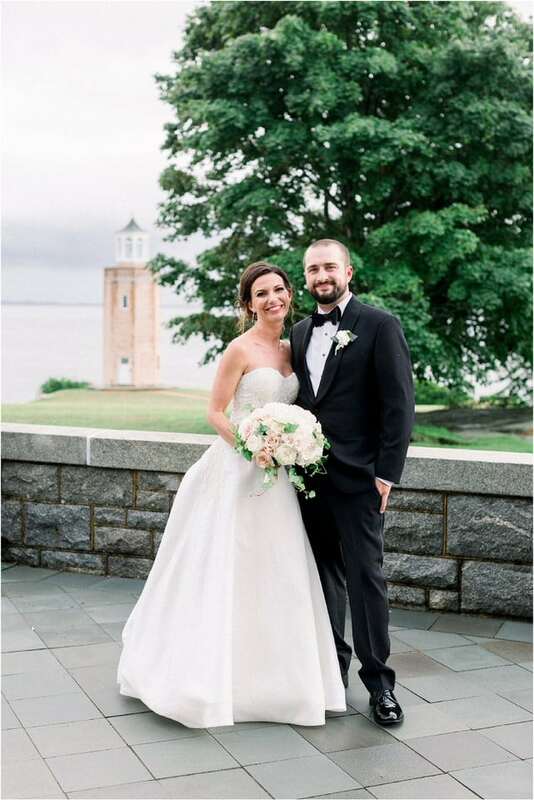 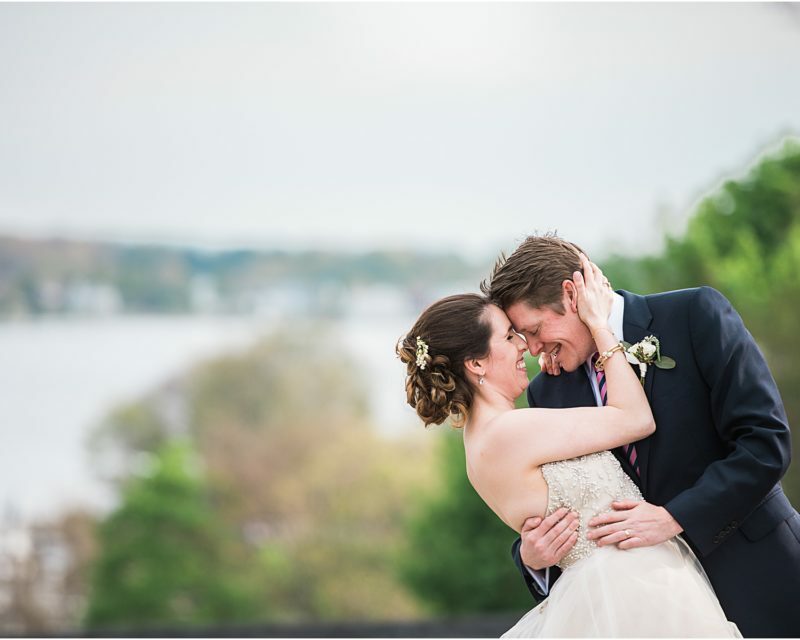 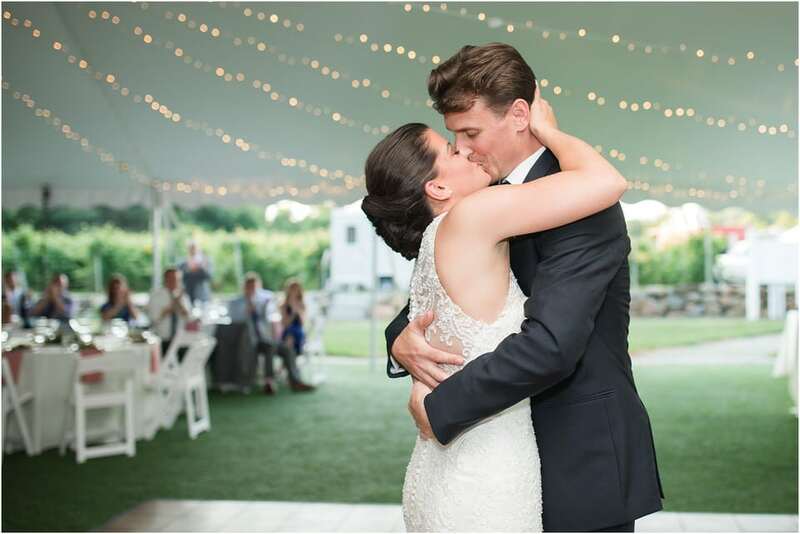 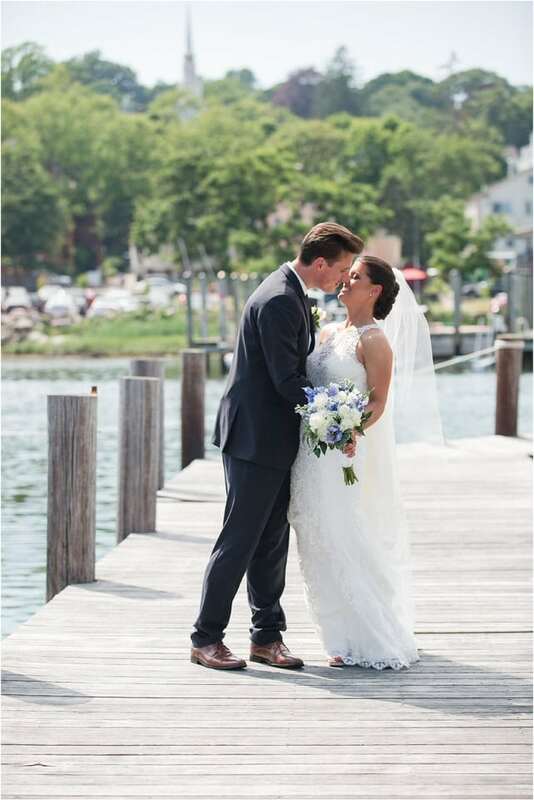 The love story began when they met through mutual friends in Westerly in 2013. 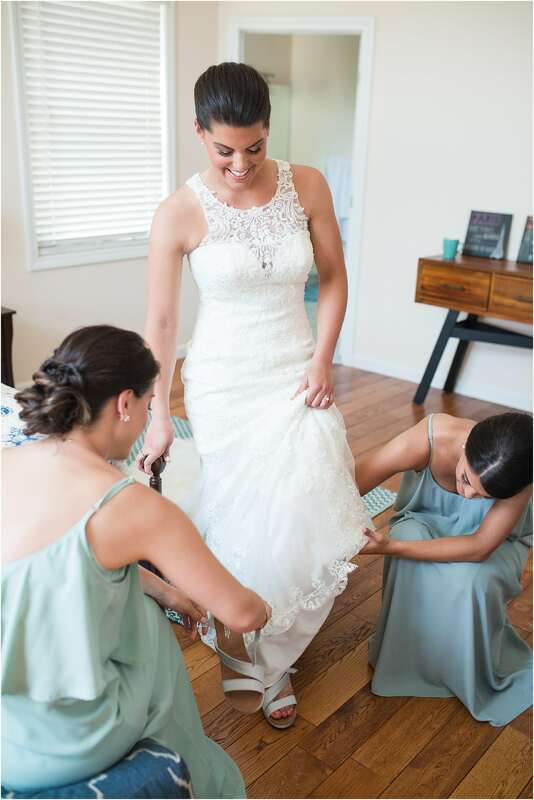 Kristen’s college roommate is married to Bryan’s friend from high school and little did they know they would end up being matchmakers! 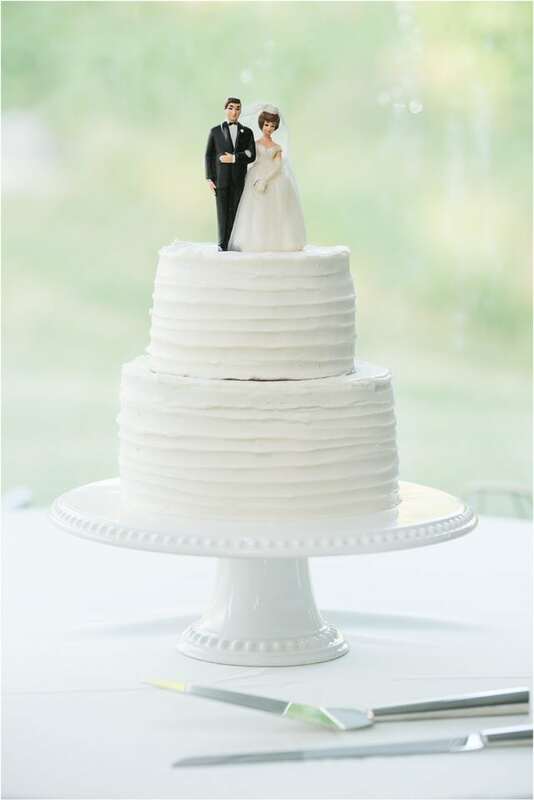 Once they started dating, they quickly realized they both loved many of the same things about one another. 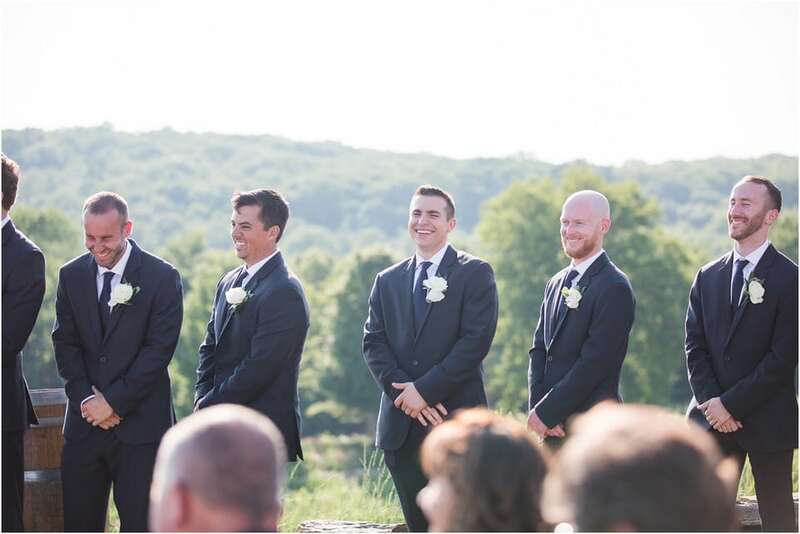 They love each-other’s sense of humor and don’t go a day without making each-other laugh. 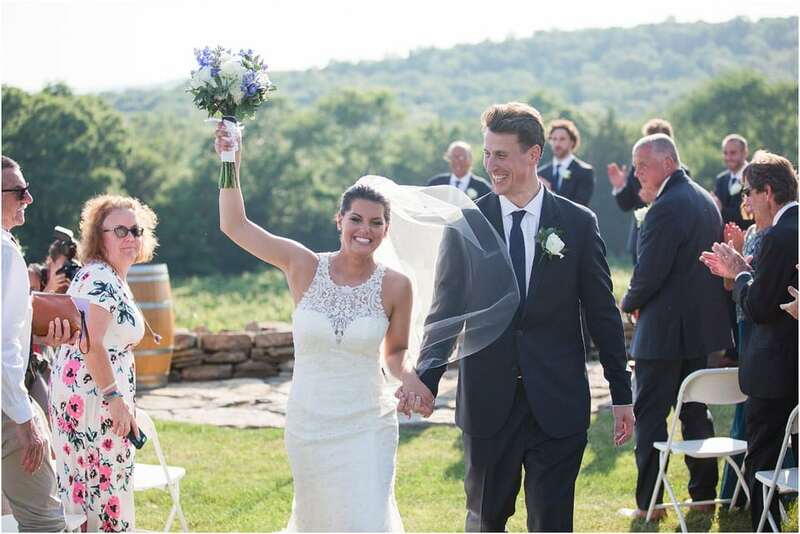 Their relationship was built on respect and trust and they had a solid foundation for Bryan to make his move. 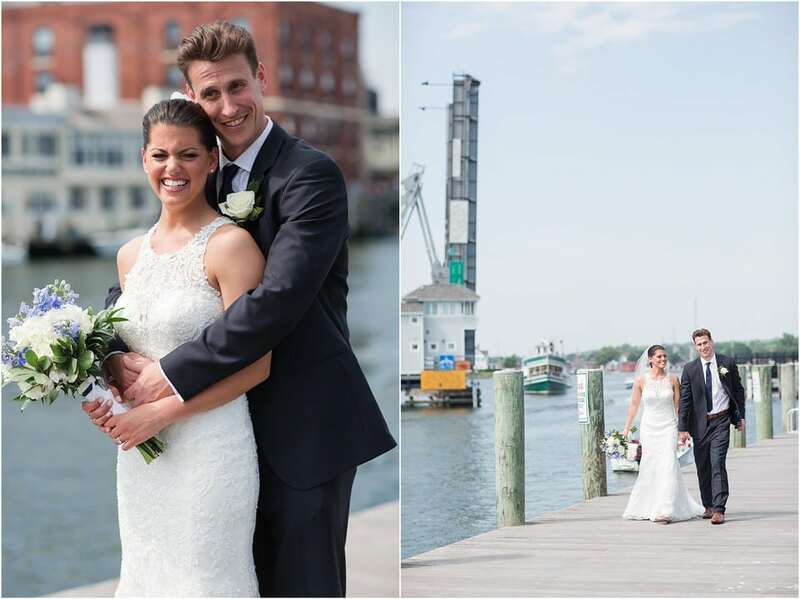 Bryan proposed in downtown Mystic just outside of S&P Oyster where they had their first date 3.5 years prior. 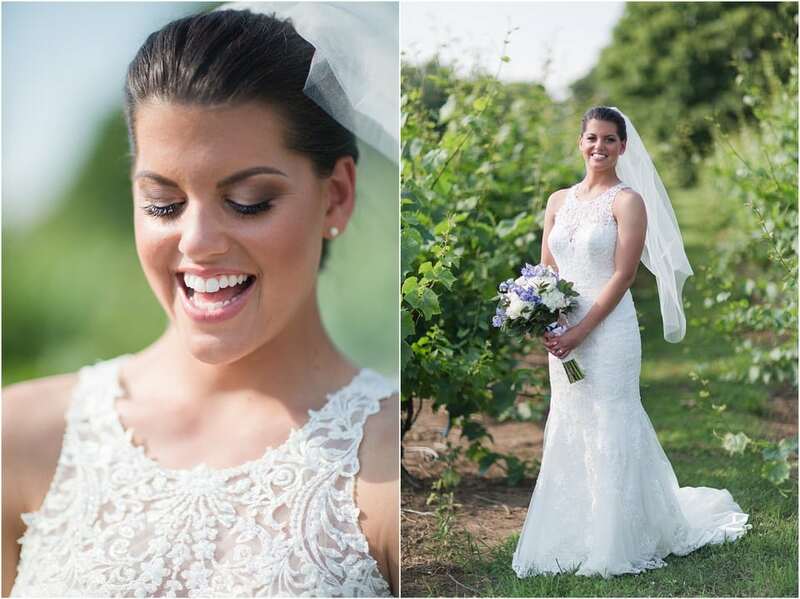 On the day of the wedding, my second shooter, Jessica Rich, and I started out with the “getting ready” pictures. 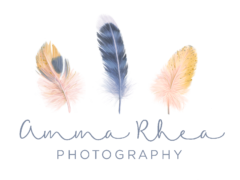 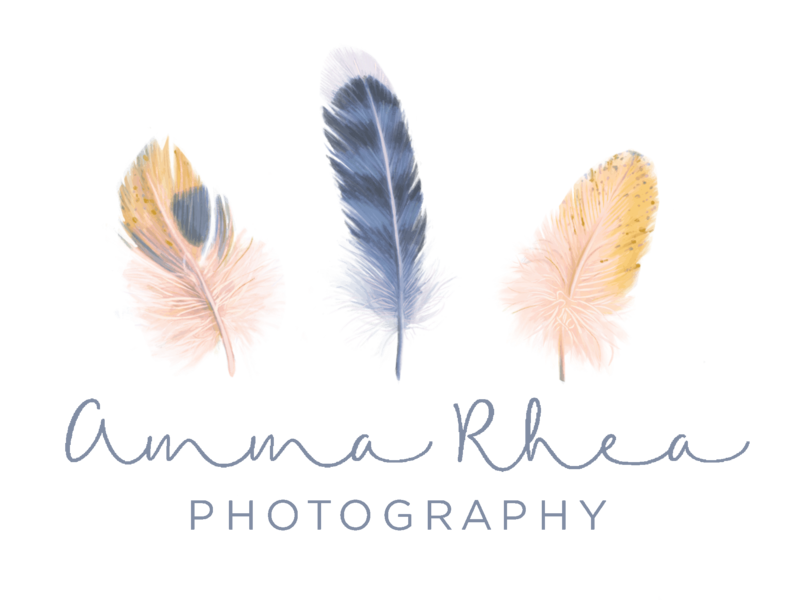 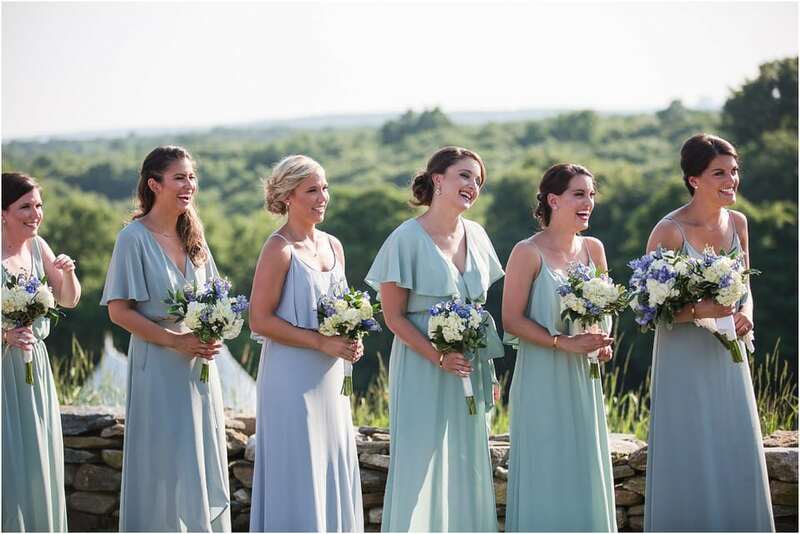 I met Kristen in Stonington for portraits and got to hang out with her bridesmaids for a while as well, which was so much fun. 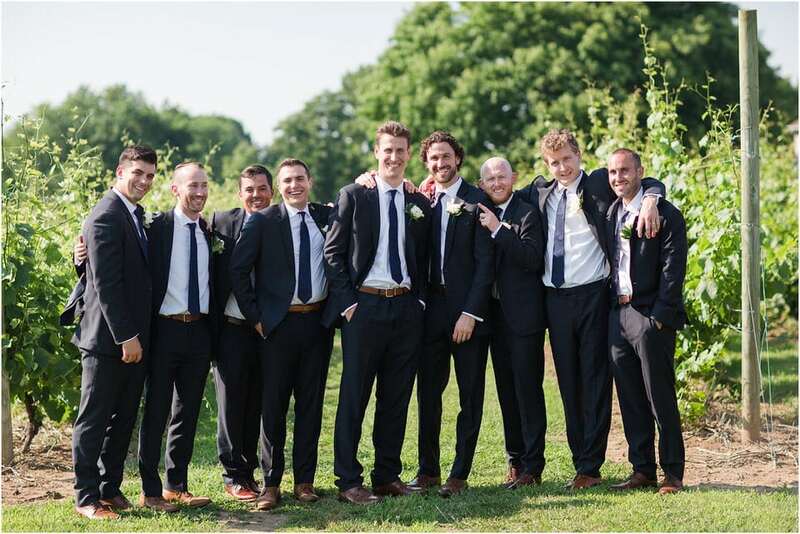 Bryan was preparing for the day with his guys in Westerly before heading to downtown Mystic for their first look. 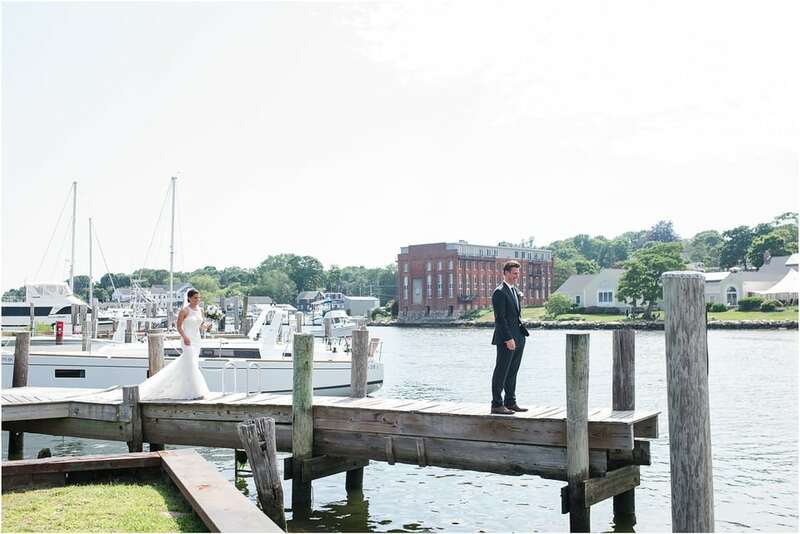 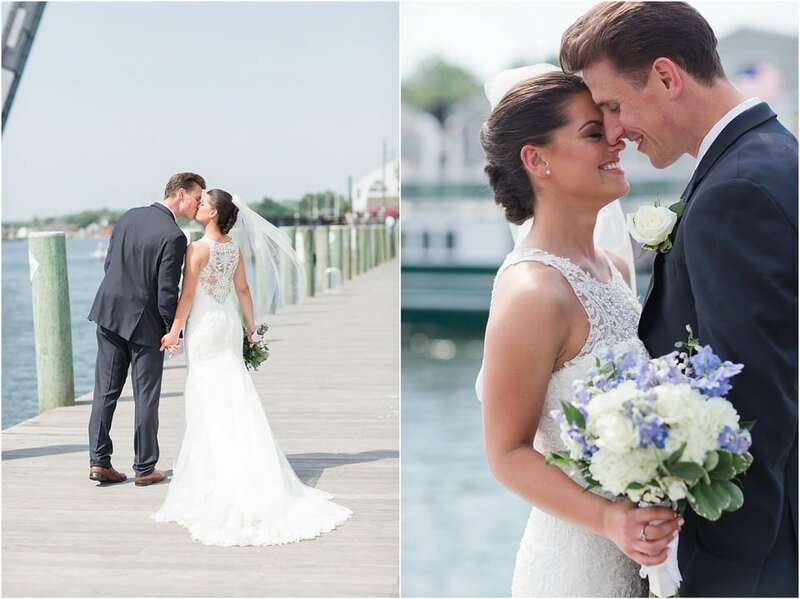 The first look took place on the docks overlooking Mystic River where there were motorboats, sailboats, kayaks and paddleboards enjoying the gorgeous summer day. 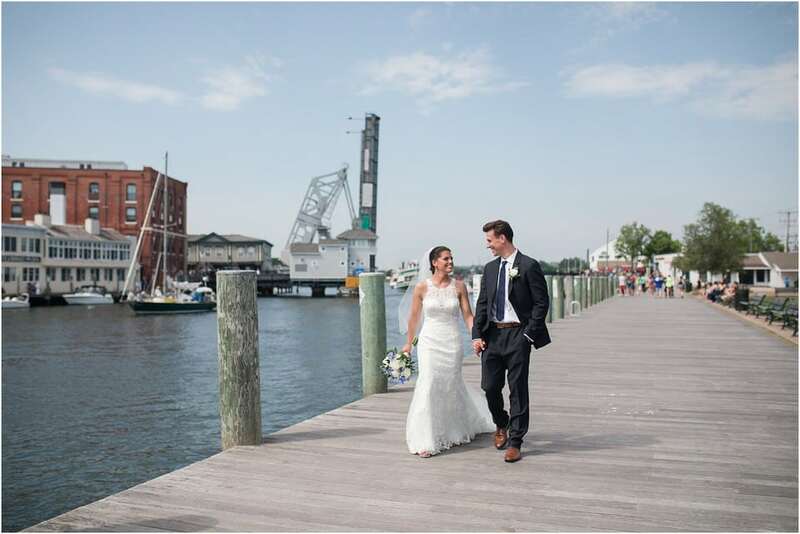 While we were taking portraits of Kristen and Bryan, the Mystic Drawbridge went up and let boats through which created a configuration of shapes coming alive down the river. 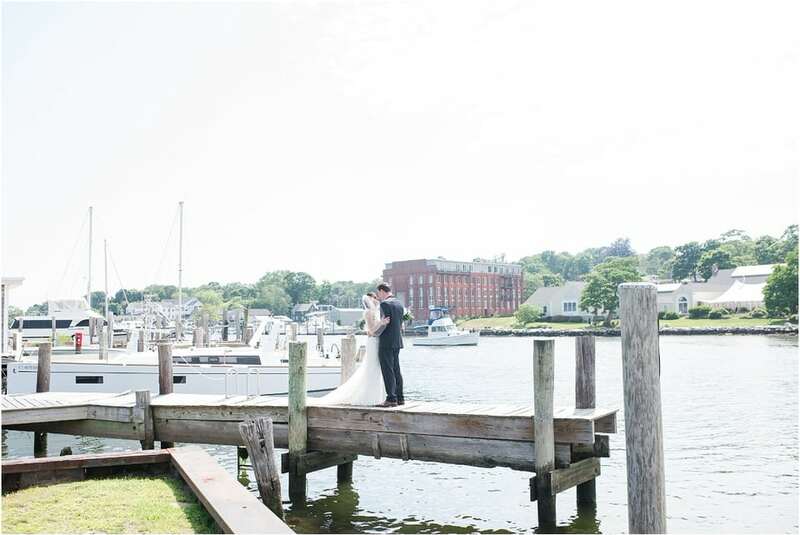 We couldn’t have had more perfect of timing and the scene surrounding us looked like a nautical painting. 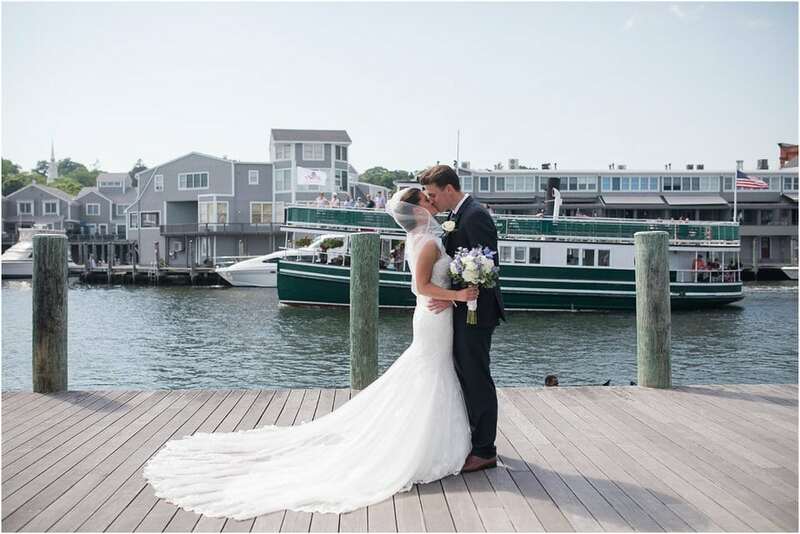 That was one of my favorite moments of the whole day – the summer excitement and energy of this sweet little sea town brought so much fun to their wedding day. 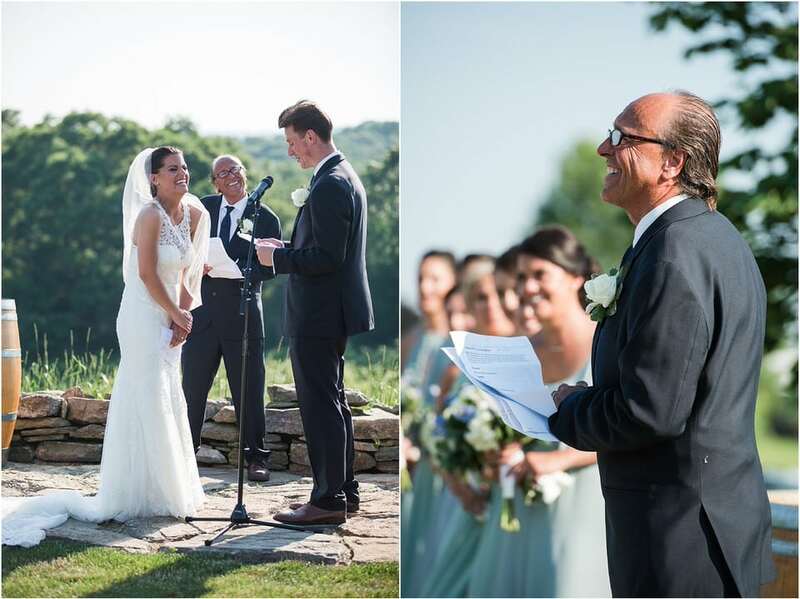 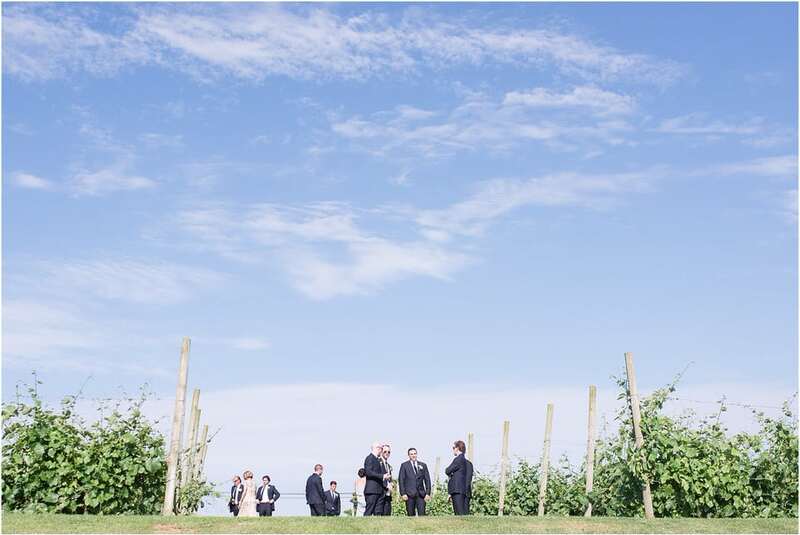 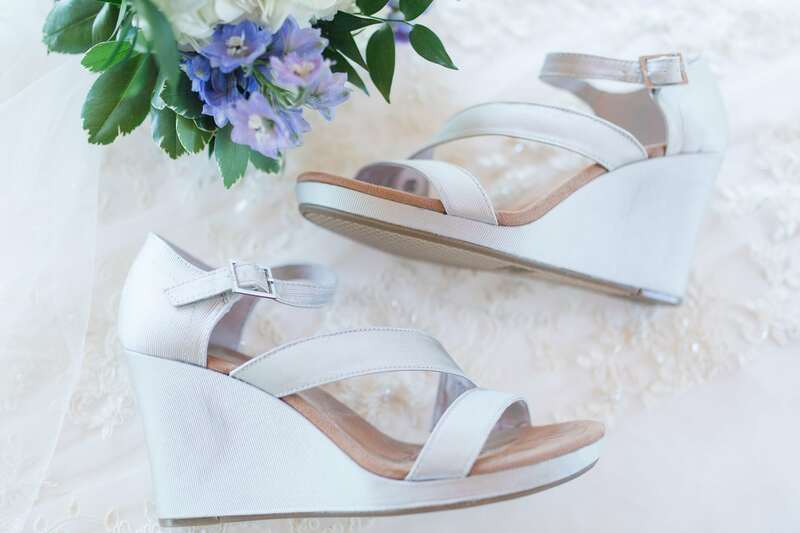 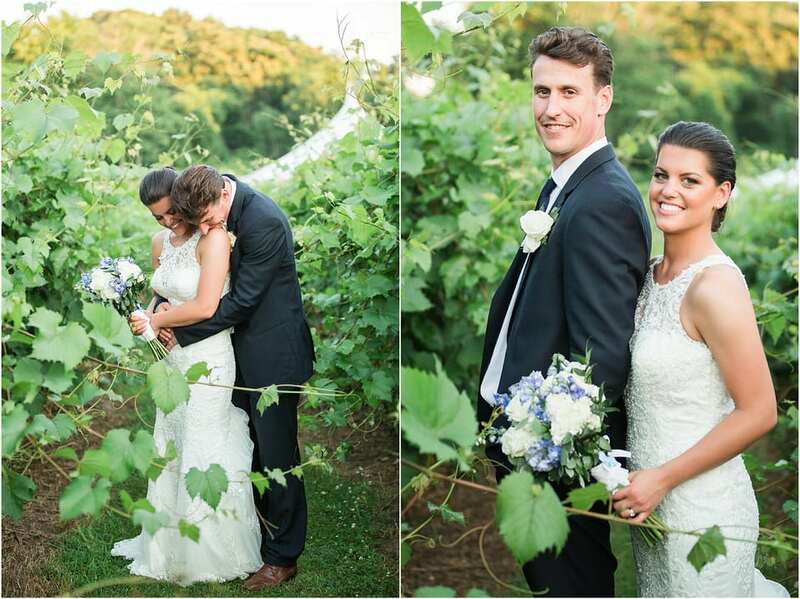 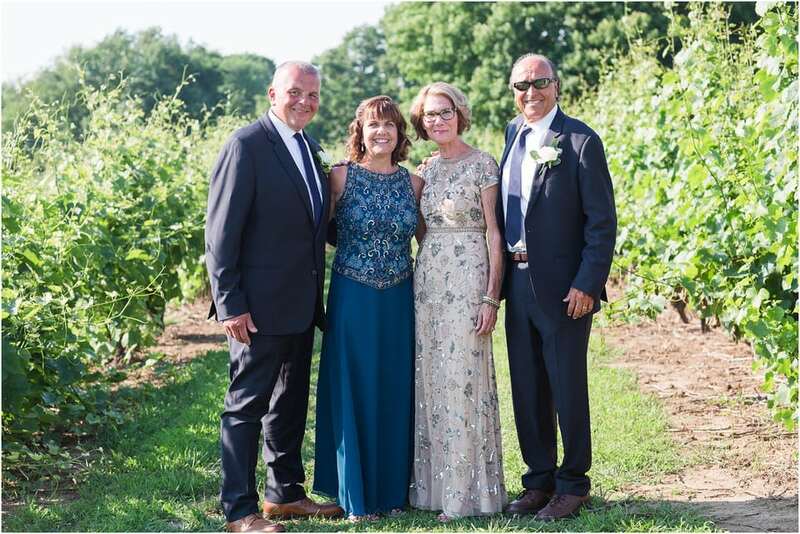 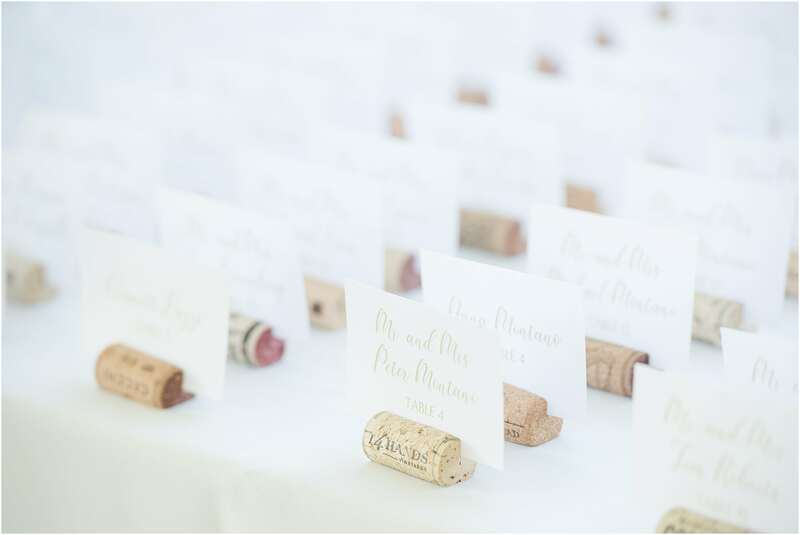 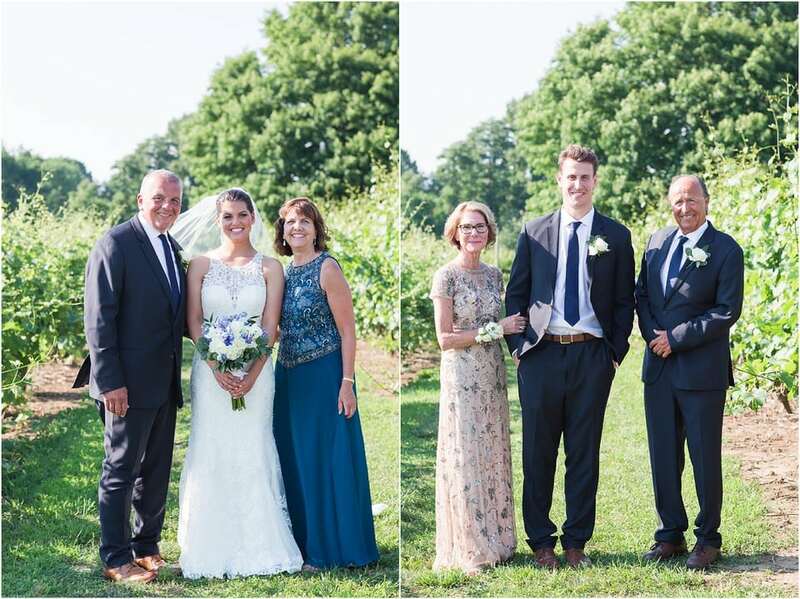 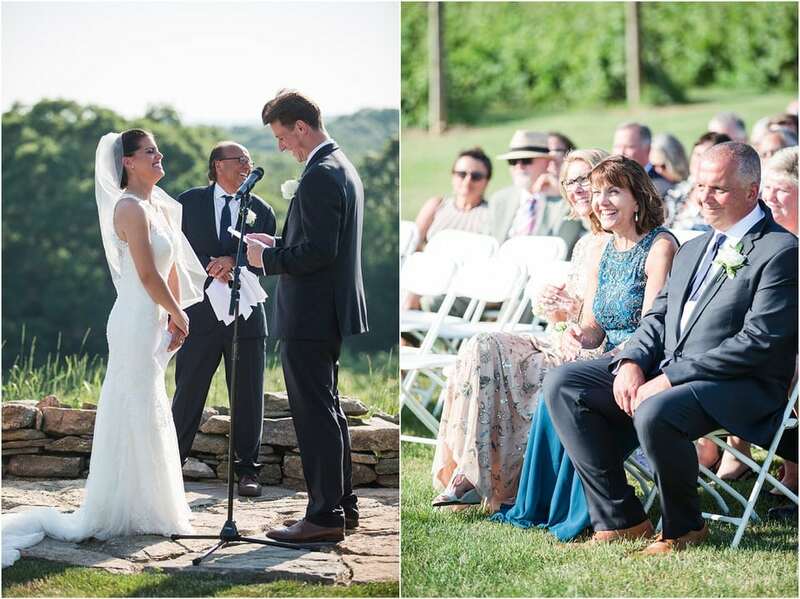 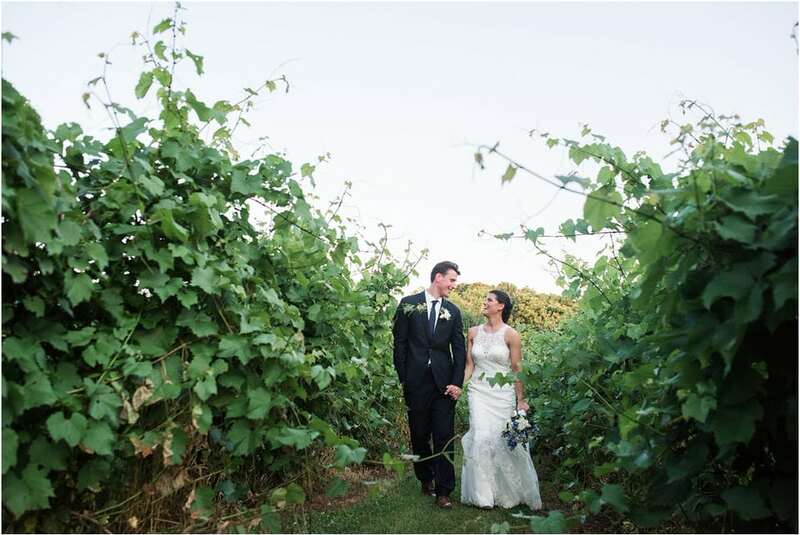 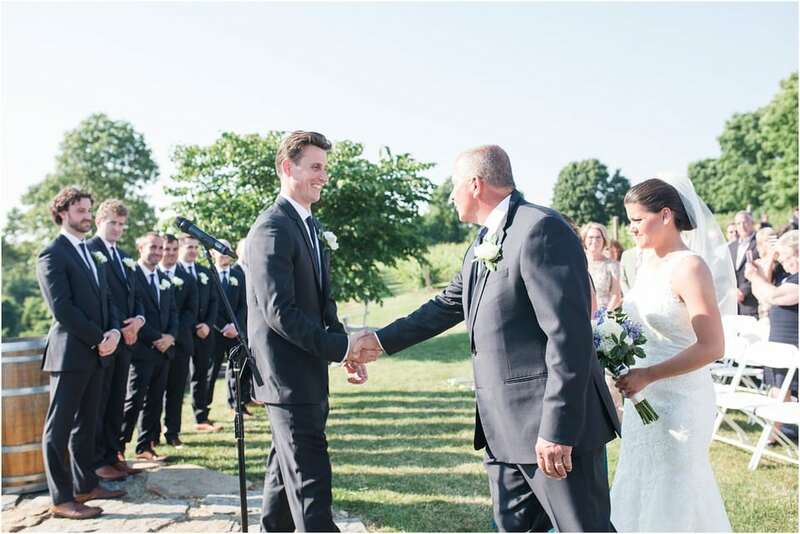 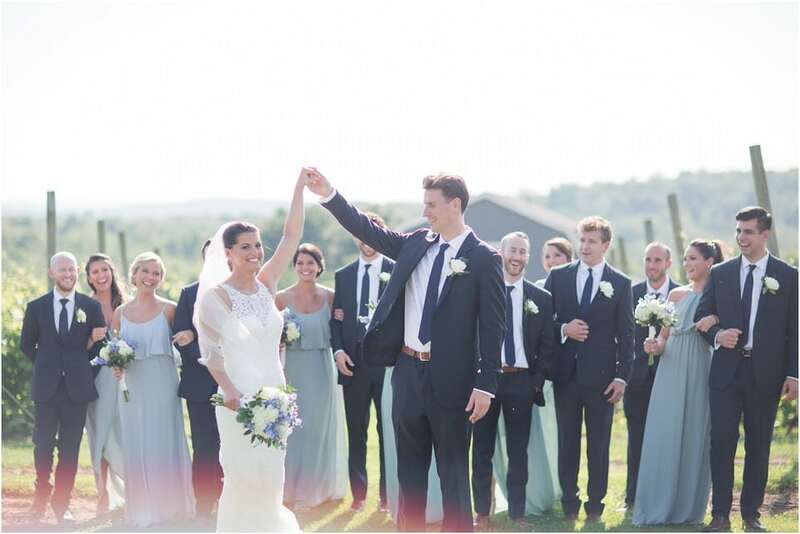 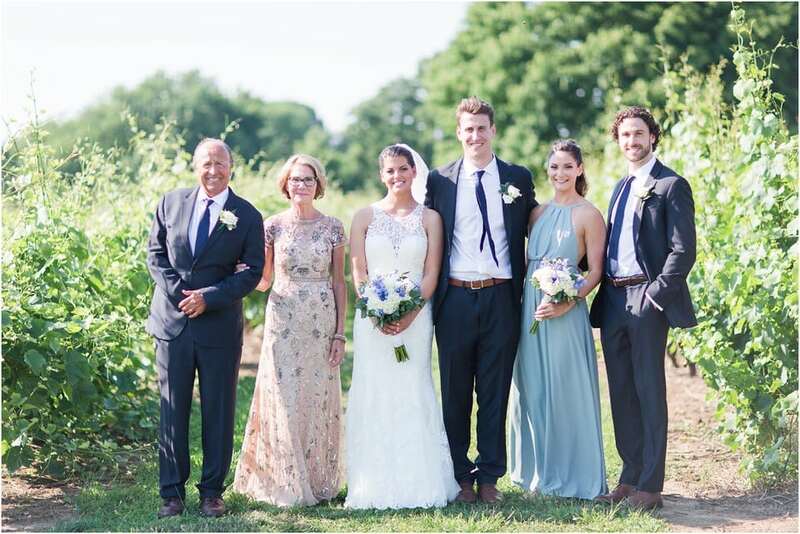 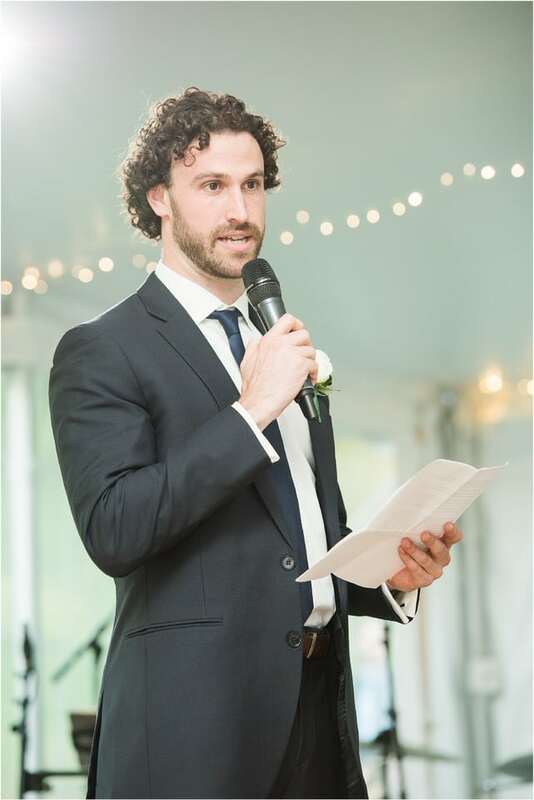 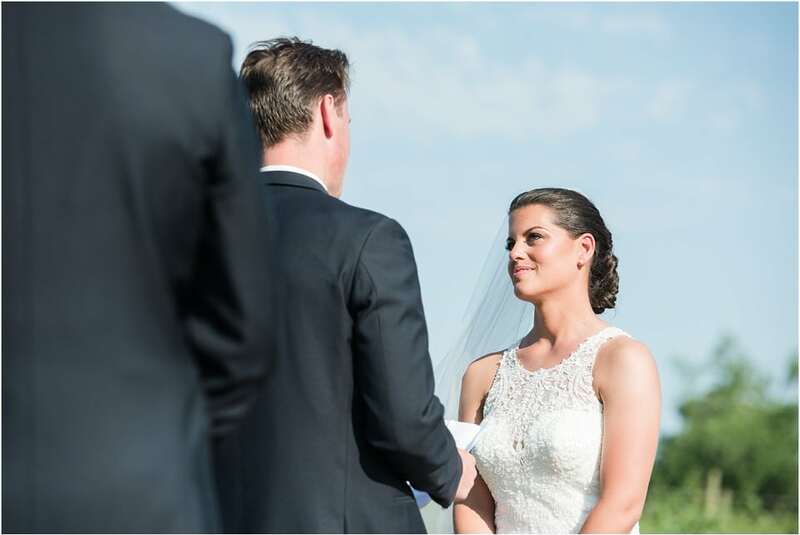 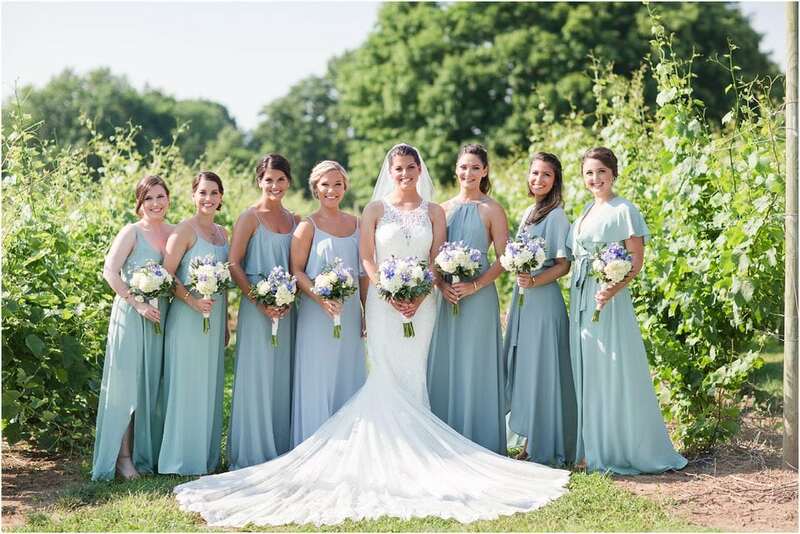 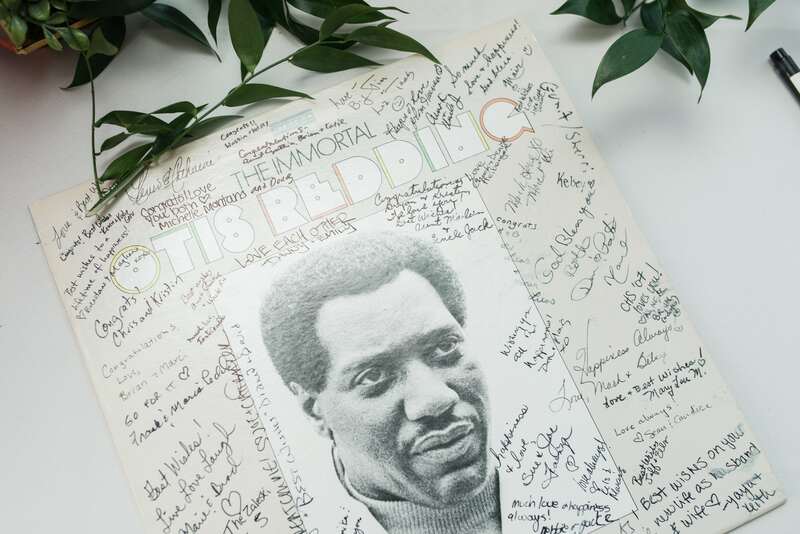 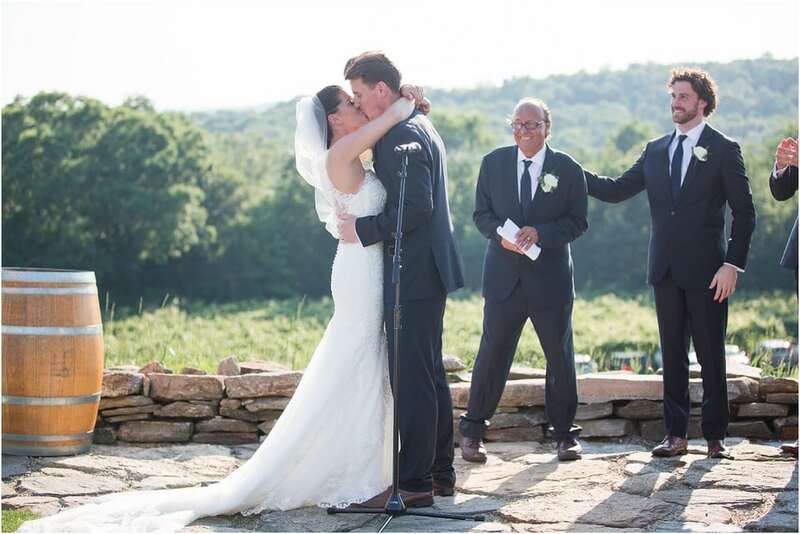 The ceremony and reception were held at Preston Ridge Vineyard, where the early summer vines had started winding and reaching upwards towards the sun. 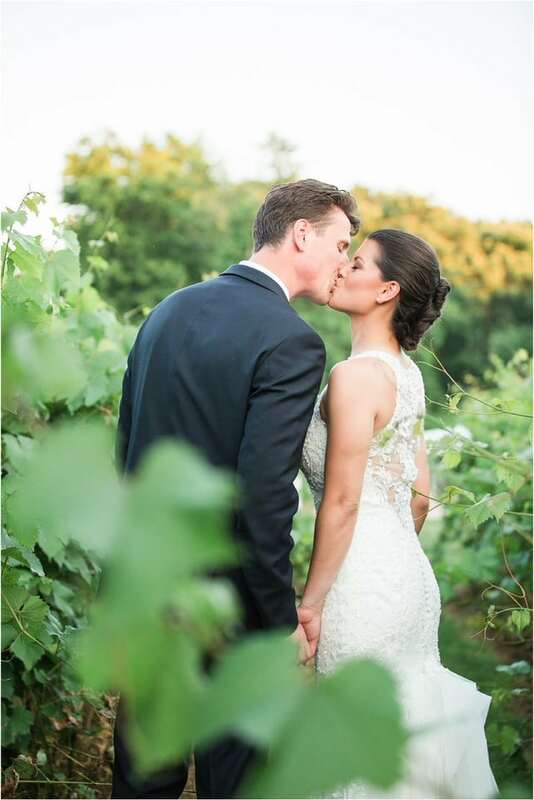 The vineyard is known for it’s grape varietals including Chardonnay, Cabernet Franc, Riesling, Triaminette, Vidal Blanc and Baco Noir. 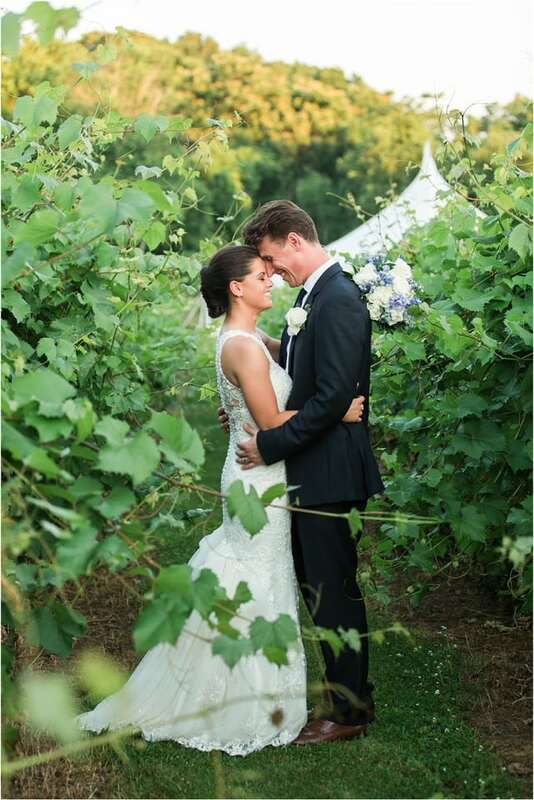 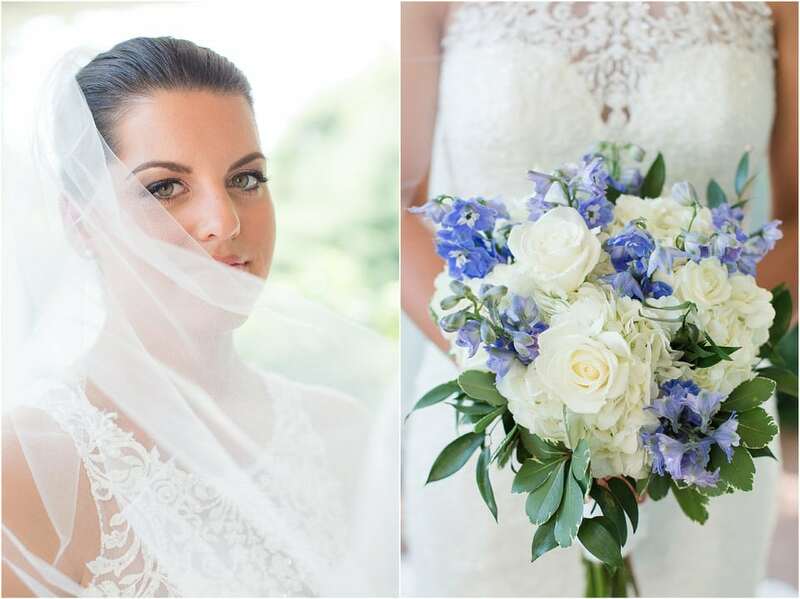 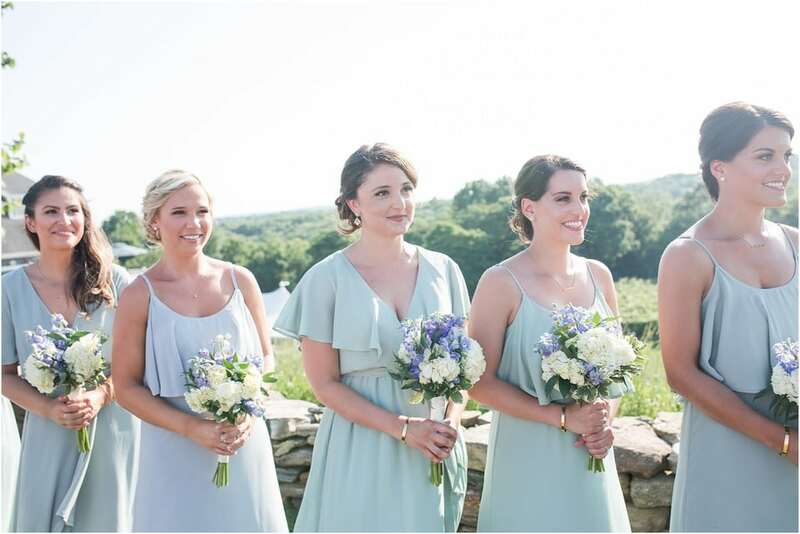 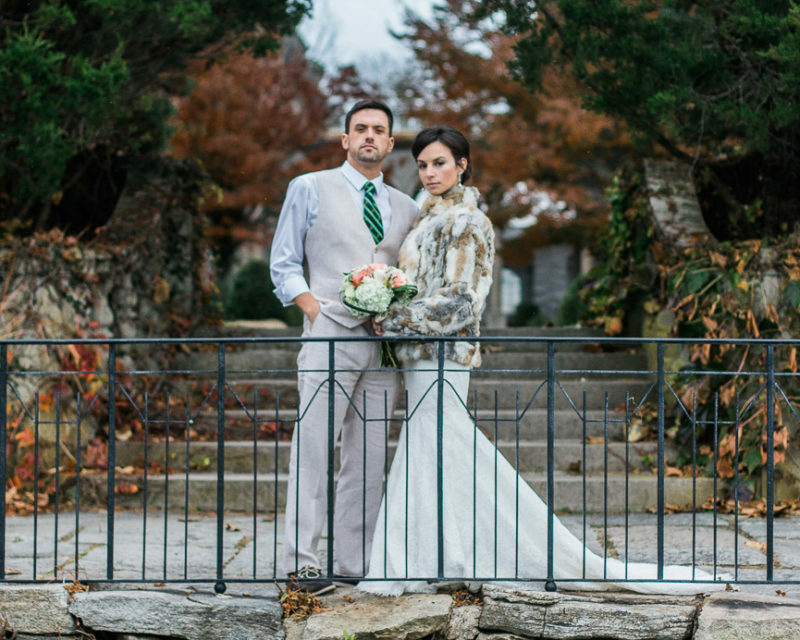 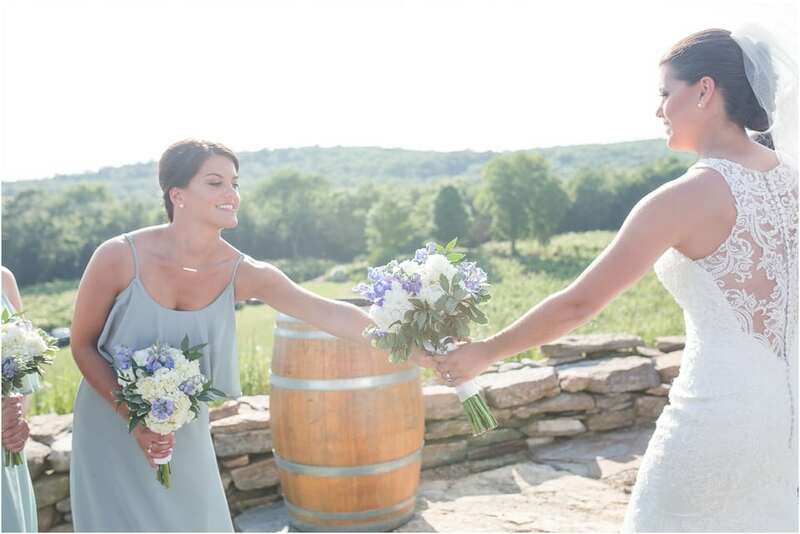 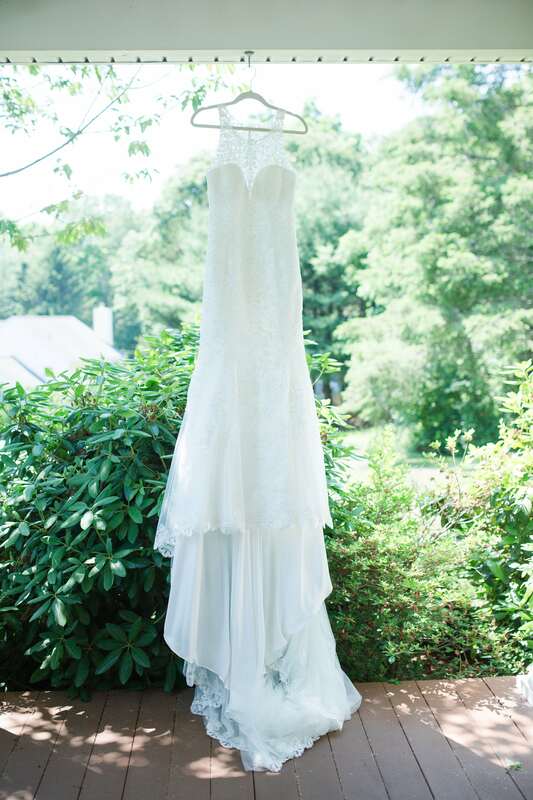 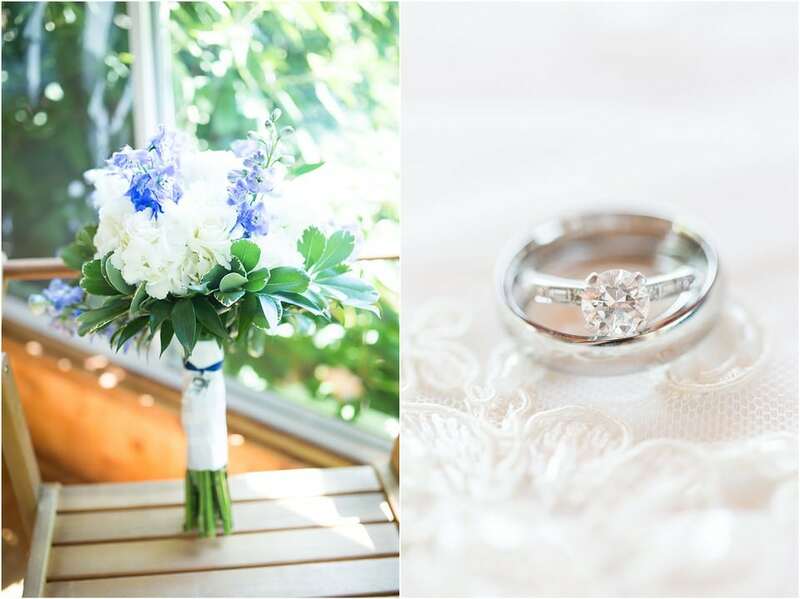 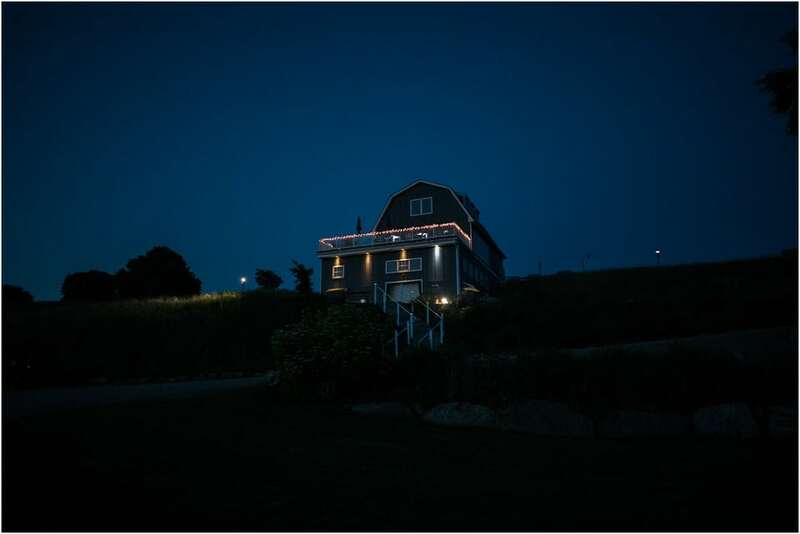 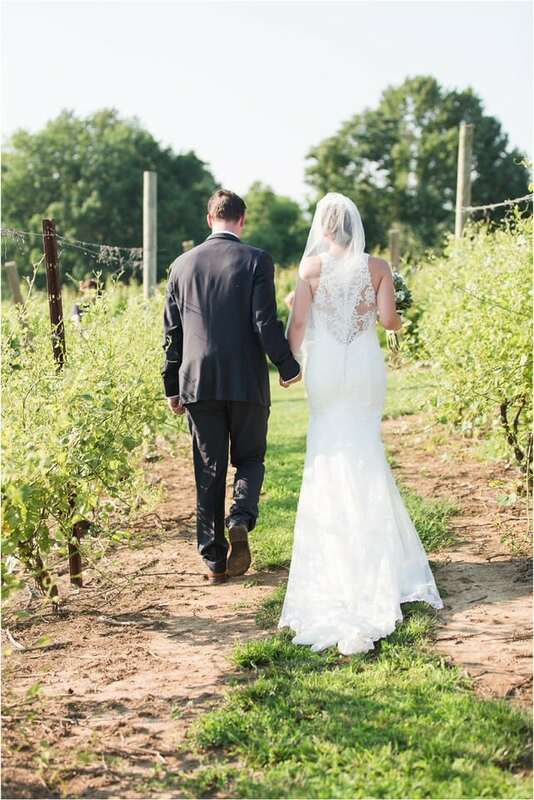 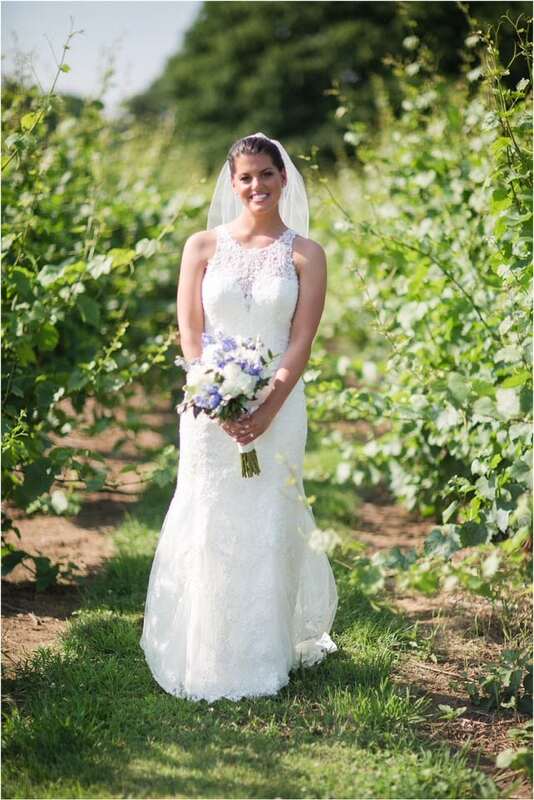 Kristen and Bryan chose the vineyard for it’s relaxed atmosphere and easy going staff. 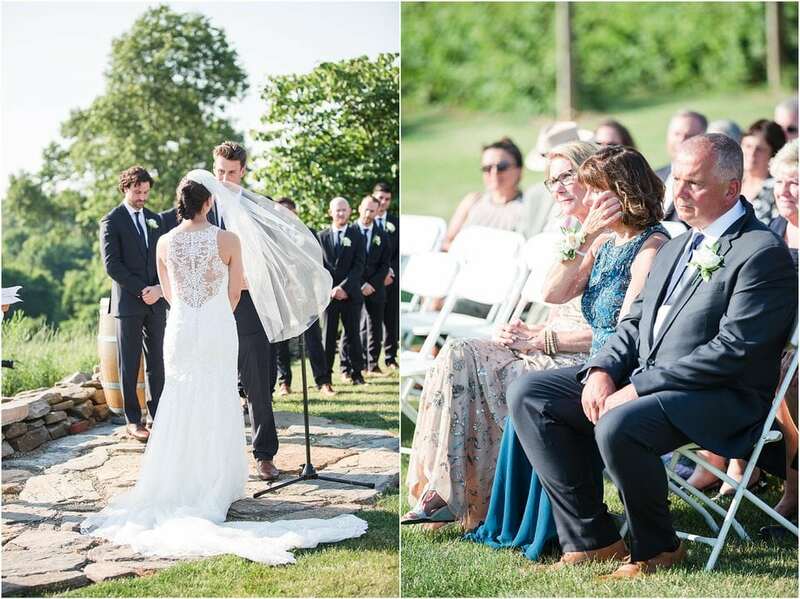 They wanted a beautiful outdoor setting that could easily host some of their closest friends and family. 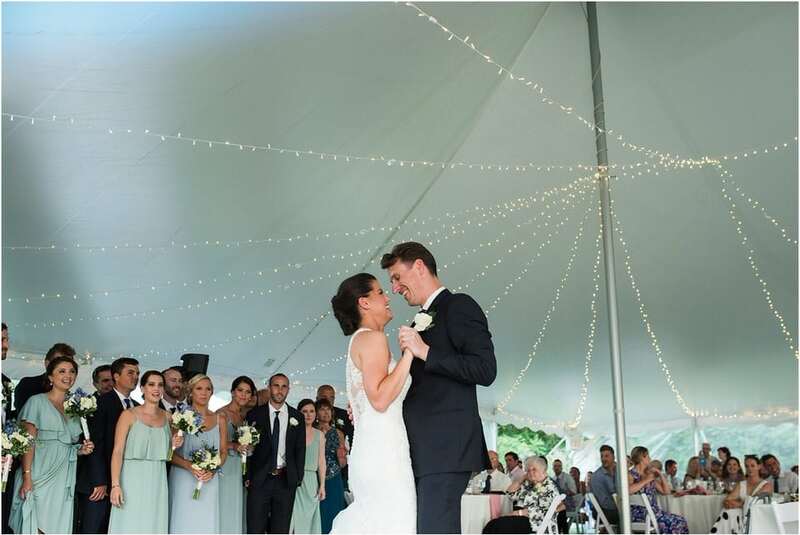 The evening started with speeches that made everyone in the room teary-eyed and dances that had everyone in the tent cheering and hollering. 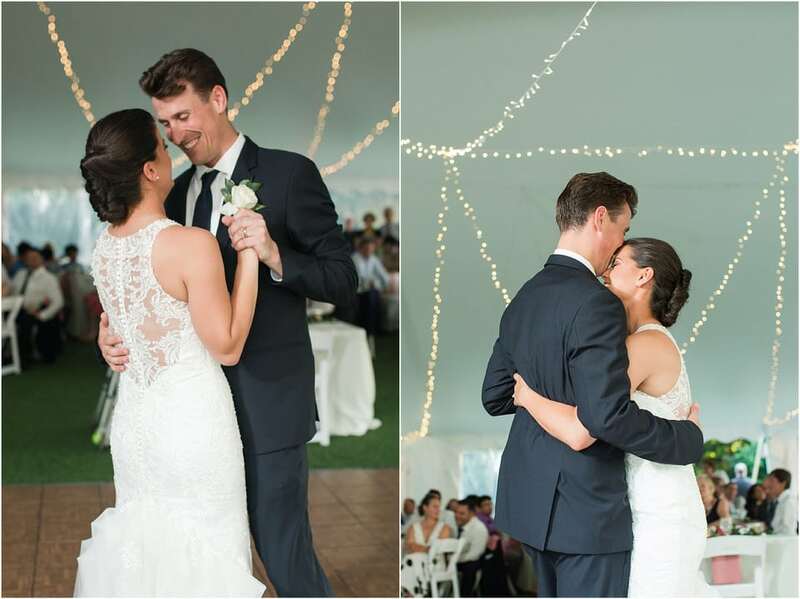 The band – Young Love and The Thrills kept the energy alive all night and had everyone smiling from ear to ear. 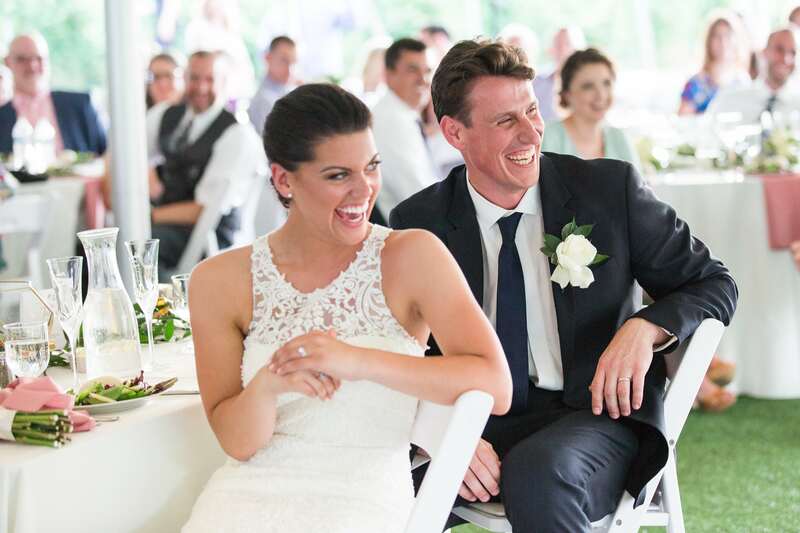 Kristen and Bryan, your laughter and joy for each-other is contagious. 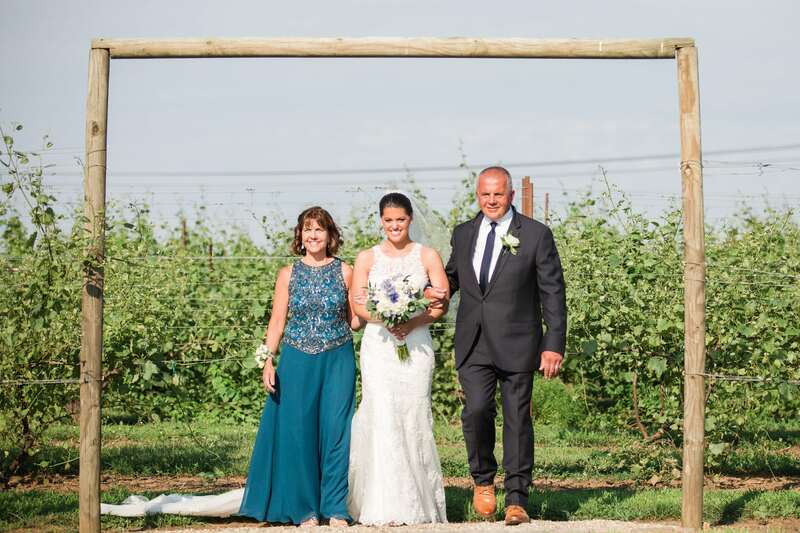 You two are such a great match, and I am so thrilled to have stood beside you on your wedding day. 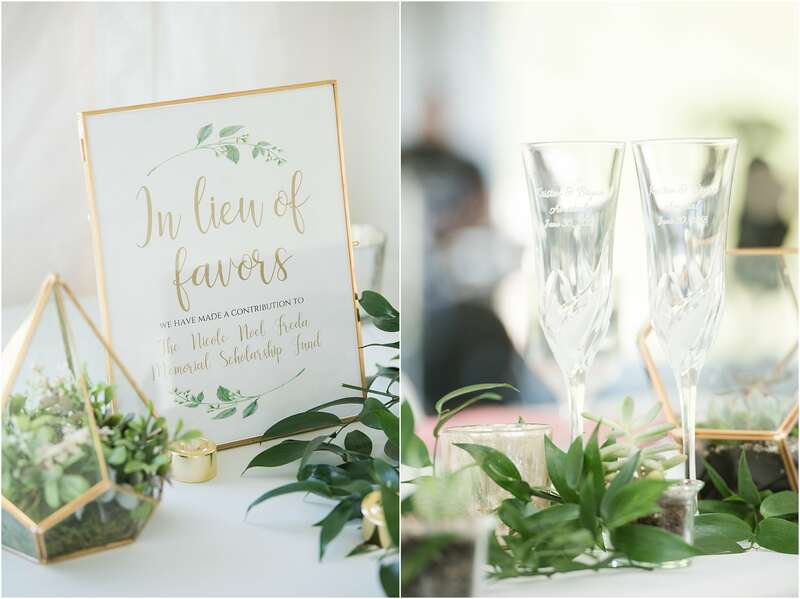 Cheers the the amazing vendors !